You’re on vacation enjoying the beach searching for a good beach read. What to read? Why not pick up one of these amazing regional interests? This is just my top of the head “Greatest Hits” of books not to miss. I could list many more! We’re so lucky to have creative minds like these authors here in the Lowcountry. Most in this list I’ve had the privilege of meeting. The others are on my list to meet! 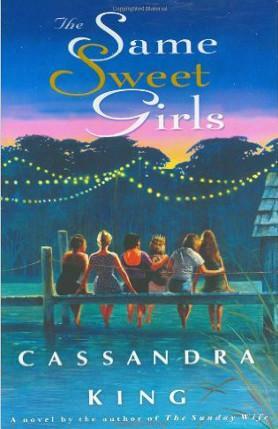 Marci-Anne: FYI Cassandra is Pat Conroy’s wife, sweetest lady and funny to boot! Novelist Walker Percy once said that the only remaining unexplored territory in southern literature was the Jewish southerner. Famous all over Town, the first novel from southern storyteller Bernie Schein, stakes a claim on Percy’s unexplored terrain with a comically candid multigenerational account of two Jews, a lowcountry native and a northern transplant, at the epicenter of momentous events in the sleepy southern coastal hamlet of Somerset, a fictitious stand-in for Schein’s native Beaufort, South Carolina. Schein’s diverse and memorable cast includes southern Jewish lawyer Murray Gold and his foil, displaced New York psychiatrist Bert Levy; emotionally scarred USMC drill sergeant Jack McGowan and his alluring and unconventional wife, Mary Beth; corrupt and adulterous sheriff Hoke Cooley, his deeply conservative wife, Regina, and their violent son, Boonie; African American madam and later city councilwoman Lila Trulove (also Hoke’s mistress), her brilliant daughter, Elizabeth, and her conflicted Harvard-bound son, Driver; fallen southern belle turned voice of a generation Arlanne Palmer; remorseful Vietnam veteran and flamboyant transvestite Royal Cunningham; and inspirational schoolteacher Pat Conroy. 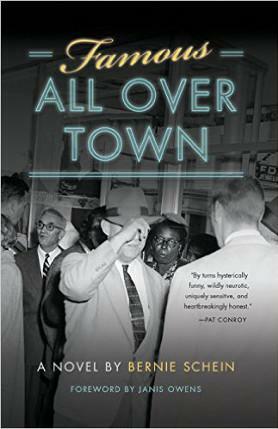 Famous all over Town also uses its web of interconnected storylines to make its setting, the eponymous town itself, a central character with a personality and an arc as complete as that of any other member of the deftly rendered cast. Delving beneath the surface of the southern status quo, Schein’s tale follows these interconnected lives through the private and public upheavals in small-town life from the turbulent 1960s to the eve of the new millennium, confronting the ramifications of the civil rights era, Vietnam, Watergate, and–closer to home–a deadly version of the infamous Ribbon Creek incident. Somerset’s colorful citizens also confront their own repressed memories, conflicted identities, burgeoning ambitions, and romantic entanglements. Even as events unfold to often-uproarious effect, Schein’s novel holds true to a deeply realized sense of intimacy and authenticity in the interactions of its myriad characters as revelations expose how these disparate lives are conjoined in surprising ways. Shifting points of view place readers squarely in the mindsets of many of Somerset’s key citizens as Schein lovingly and laughingly invites us to reconsider what it means in the modern south to be white, black, Jewish, Christian, military, civilian, sane, insane, old, young, male, female, gay, and straight–and to be of a place rather than merely in it. Marci-Anne: FYI Pat’s Best Friend from boyhood and an ABSOLUTE HOOT!!! Seriously, my side hurts just thinking about him! In 1863, the Union was unable to adequately fill its black regiments. 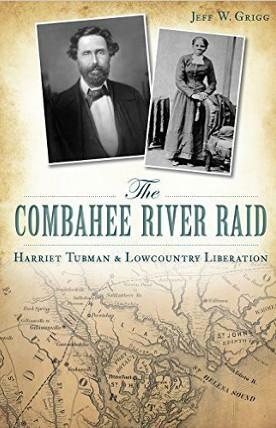 In an attempt to remedy that, Colonel James Montgomery led a raid up the Combahee River on June 2 to gather recruits and punish the plantations. Aiding him was an expert at freeing slaves–famed abolitionist Harriet Tubman. 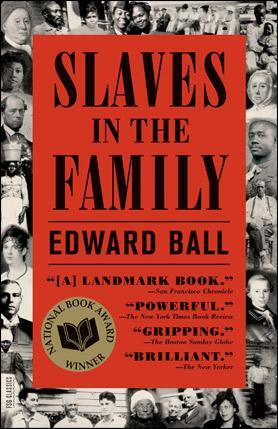 The remarkable effort successfully rescued about 750 enslaved men, women and children. Only one soldier was killed in the action, which marked a strategy shift in the war that took the fight to civilians. Join author Jeff W. Grigg as he details the fascinating true story that became a legend. Marci- Anne: Met Jeff at Coastal Discovery last year, amazing guy and this history gives a whole new perspective on who Harriet Tubman was, what major role she played in our area, and most importantly, what a kick a$$ woman she was! Seriously, history has done her an incredible disservice by only focusing on the Underground Railroad. She saved thousands of Union soldiers lives by her war efforts as a spy and strategist. The move from New Jersey to Hilton Head, South Carolina, wasn’t easy for the Russo family—difficult enough for Big Al and Connie, but even harder for their daughter Maria Graziella, who insists on being called Grace. At thirty-one and still, shockingly, unmarried, Grace has scandalized her staunchly traditional Italian family by moving in with her boyfriend Michael—who, though a truly great guy, is agnostic, commitment-phobic, a scientist, and (horror of horrors) Irish! Grace adores her parents even though they drive her crazy—and she knows they’d love Michael if they got to know him, but Big Al won’t let him into their house. And so the stage is set for a major showdown—which, along with a devastating, unexpected crisis and, perhaps, a miracle or two, just might change Grace’s outlook on love, family, and her new life in the new South. 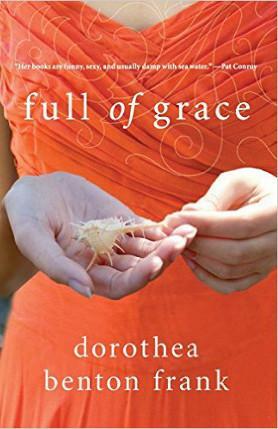 Marci-Anne: FYI Seriously for a light, funny, romantic read on locations throughout the Lowcountry, you can’t go wrong with anything Dorothea writes. I have never met her, LOL, but she is on my list! Marci-Anne: One of my all-time favorite reads. It may not be to everyone’s taste as it has been criticized for being too apologetic for an issue the author had no personal hand in. You can’t deny his research is impeccable and as far as I know, has traced the only documented descendant lineage from Africa to the current family members through a former slave, a 14 year old girl named Pricilla, that belonged to his family. His family may hail from South Carolina but Edward Ball teaches at Yale and lives in Conneticut. Terrific book! OF COURSE: Pat Conroy “The Water is Wide”, “The Great Santini”, “Death of Santini” ANYTHING BY PAT! I have a great love for this great man. He could write down the alphabet and I would cry over how brilliant he is.